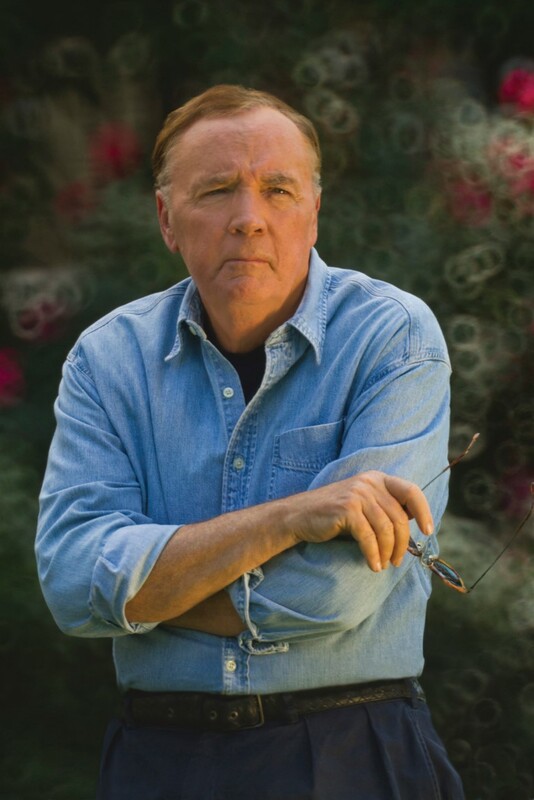 Authors Ann Patchett and James Patterson have been named the inaugural ambassadors for the Book Industry Charitable (Binc) Foundation, the 20-year-old foundation that has given more than $6 million in emergency financial assistance and scholarships to booksellers in the U.S.
Patchett and Patterson have both been champions of literacy and independent bookstores. 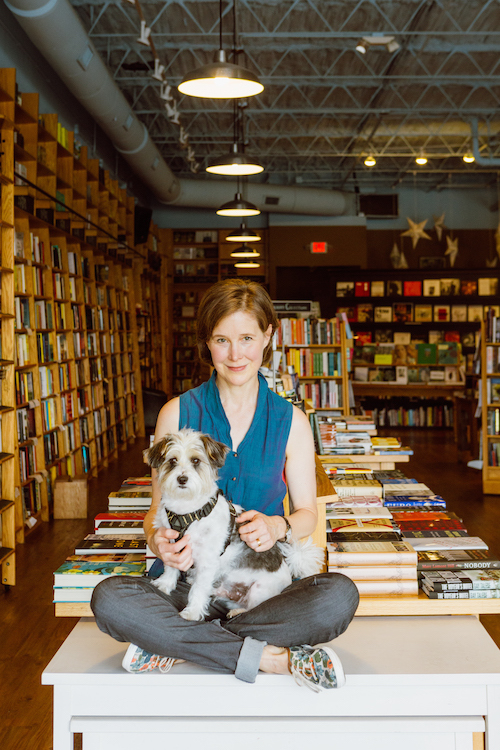 Patchett is also, of course, an independent bookseller: as co-owner of Parnassus Books in Nashville, Tenn., she knows the joys and struggles of being a bookseller. "Booksellers have always been there for me, both as a reader and a writer," said Patchett. "I support Binc because it's an organization that's always there for booksellers. Together we can help Binc weave a safety net for all booksellers. It's a way to say thank you to the people who have given us so much." For his part, Patterson has donated $2 million in grants and holiday bonuses to independent bookstore employees and school libraries. His commitment to independent bookstores stems from their critical role in cultivating "a nation of readers" in American society, he said. "Are you worried about civility and tolerance in today's society? I ask because we have too often allowed our guardians of civility and tolerance to be under-recognized and under-appreciated to the point where too often they have trouble pursuing their vital profession. Booksellers are the tip of the spear in the battle to keep this a nation of readers. We need to do everything we can to safeguard and encourage bookselling. This is Binc's mission, and one I wholeheartedly endorse." Binc executive director Pamela French said that the new ambassadors "understand the unique role that bookstores play in building community. They also understand that many people who work there do so out of passion--and are often one emergency away from financial hardship. That's why we feel so honored to have them as ambassadors." Funded by donations from bookstores, authors, publishers, vendors and employee payroll contributions, the Binc Foundation provided 28 booksellers with emergency grants in 2015, covering everything from major medical bills to homelessness prevention to escape from domestic violence. Binc also granted booksellers and their dependents 70 college scholarships or paid tuition for professional development programs, ending the year with granting more than $266,000 in total assistance. Congratulations to Country Bookshelf in Bozeman, Mont., winner of the inaugural Europa International Book Fair Scholarship. Europa Editions, which announced the scholarship last month, will be sending one bookseller from the store to the Frankfurt Book Fair in October. Country Bookshelf tweeted: "Thanks so much @EuropaEditions! Looking forward to #FerranteNightFever." Europa said the lucky bookseller "will attend bookseller-focused panels, meet authors from around the world, attend swanky publishing parties, meet Elena Ferrante’s 40+ international publishers and translators, and hang out with Europa at the biggest and best publishing fair in the world." The scholarship includes travel from the U.S., accommodations, per diem allowances, entry to the fair and a customized itinerary of meetings and events. The publisher aims to offer one scholarship per year. In announcing the winner, Europa noted that it was "thrilled to share this honor with Montana's largest independent bookstore, which has brought quality books and cultural programming to the Bozeman community since 1957. 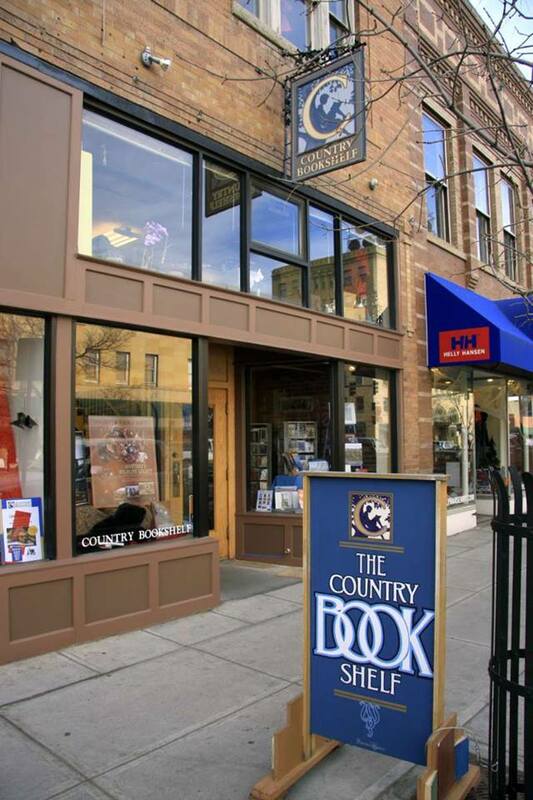 Author David Quammen once called the Country Bookshelf 'one of the intellectual and cultural hearts of [Bozeman]' and the store regularly hosts national and local authors for a wide variety of book-based events." The winner was selected by random drawing from among the 50-plus bookstores across the U.S. that will be hosting #FerranteNightFever events during the week of October 31 to celebrate the November 1 launch of two new books by Elena Ferrante: Frantumaglia: An Author's Journey and The Beach at Night. 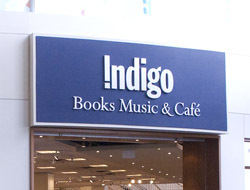 At Indigo Books & Music, revenue in the first quarter ended July 2 grew 4.4%, to C$193.1 million (about US$147.8 million) and the net loss was $9 million ($6.9 million), identical to the same period a year earlier. The revenue gain came despite Indigo operating one less superstore and three fewer small-format stores. At stores open at least a year, Indigo and Chapters superstores grew 7.7%, while Coles and Indigospirit small-format stores gained 7.8%. Sales at indigo.ca rose 3.8% "despite cycling over a significant vendor-funded promotion in the same period last year." Indigo noted that "when excluding the impact of a one-time benefit from a lease disposition," the net loss this past quarter would have amounted to $4.5 million. "The improvement in underlying earnings relates to higher revenues at improved margin rates and improved tax recovery, partially off-set by higher operating costs." CEO Heather Reisman commented: "We are pleased that the strong revenue momentum we experienced last year has continued into the new fiscal. All key metrics remain positive which allows us to feel confident about our ability to drive continued revenue growth, improved profitability and further customer affection for our brand." Indigo added that its first cultural department store--opened during the quarter in Toronto and featuring books, gifts and "an enhanced IndigoKids experience"--"is performing very well and above expectations." The company plans to roll out the cultural department store concept to more stores in the near future. Bonnier Publishing has formed Bonnier Publishing USA, which will bring together the company's imprints in the U.S.: start-up publisher Little Bee Books and veteran publisher Weldon Owen. Bonnier Publishing USA is "part of an ambitious program for growth led by Group CEO Richard Johnson," according to the company. 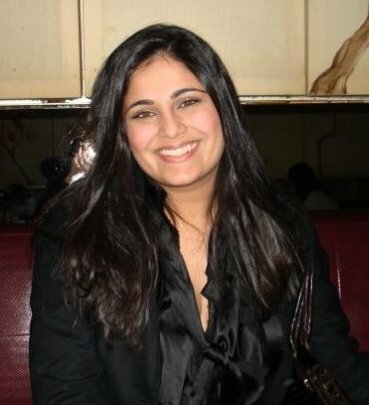 Shimul Tolia, president of Little Bee Books, has been promoted to CEO of Bonnier Publishing USA. Roger Shaw, president and publisher of Weldon Owen U.S., will continue to lead Bonnier Publishing USA's West Coast operations and will report to Tolia. Bonnier Publishing USA will establish a new flagship office, relocating Little Bee Books from 853 Broadway to larger space at 251 Park Avenue South in New York City that will serve as the division's headquarters. Weldon Owen will remain at its offices in San Francisco, with marketing and p.r. staff in the New York office. 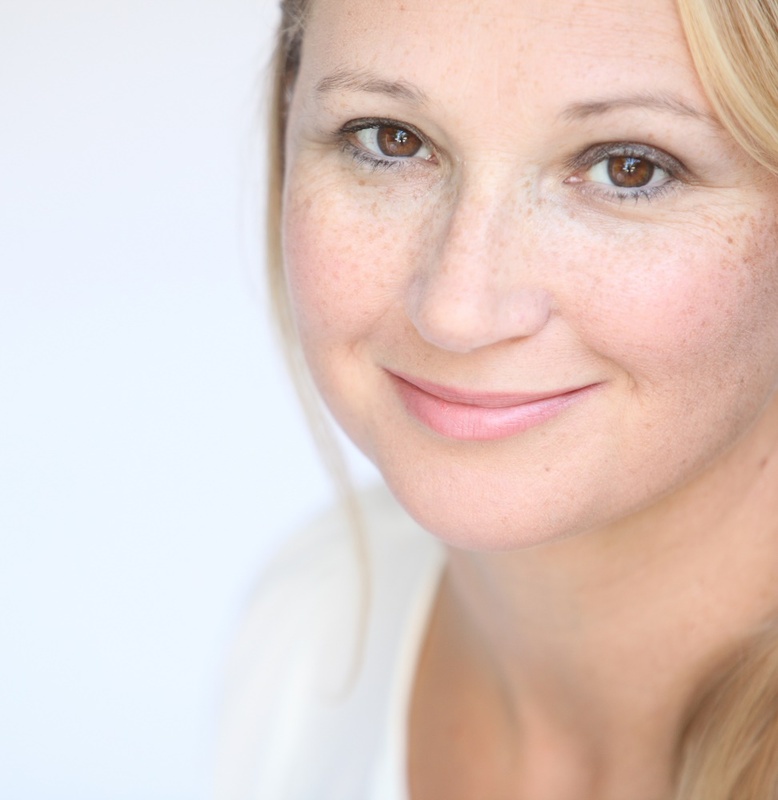 "This is an exciting time for us at Bonnier Publishing USA," said Tolia. "We launched Little Bee Books in NYC with four employees in 2014 and have grown exponentially in just two years. Including the established Weldon Owen business, we now have a dynamic U.S. company of over 40 employees. Our results over the last year demonstrate a strategy that is working and a strong foundation for growth. We can't wait to relocate to our new offices in New York City and look forward to bringing more of our books to more people." Group CEO Johnson commented: "We have risen from nowhere to be the fourth largest publisher in the U.K. and we intend to drive the same growth strategy in the U.S. in the coming years. Bonnier Publishing USA, headed by the hugely impressive Shimul Tolia, provides the perfect platform for this. Our combined U.S. operation currently accounts for $40 million of this and the plan is for growth in the USA to $100 million by the end of 2019." 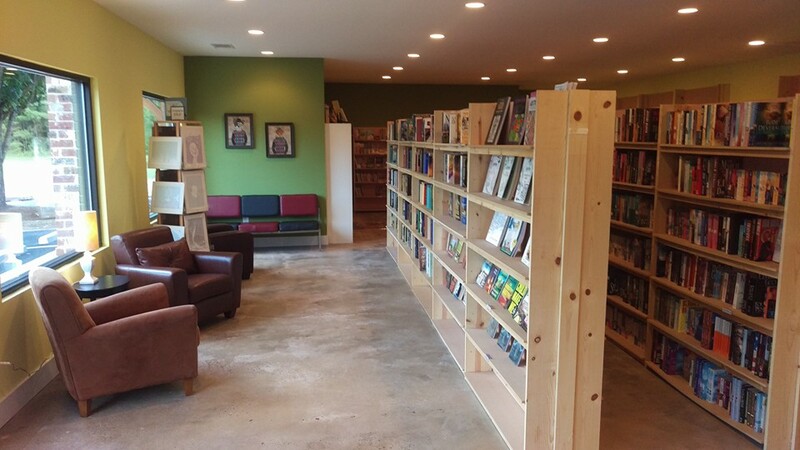 Walls of Books Store Relocates to Watkinsville, Ga.
Greg and Stephanie Phillips have relocated their Walls of Books store from Athens to a storefront at 1971 Hog Mountain Road, Suite 130, in Watkinsville, Ga., the Banner-Herald reported. Walls of Books is a franchise branch of Gottwals Books. Owner Shane Gottwals opened his first store in Warner Robins, Ga., and began franchising his business model about four years ago; there are 14 Walls of Books stores--in Georgia, Ohio, South Carolina, Washington, D.C., Louisiana and Kansas--either operating or on the way. Greg Phillips "came to the book business after a career in restaurants.... But he is an avid reader, as is Stephanie, who teaches dental hygiene at Athens Technical College. In Warner Robins, he became friends with fellow business owner Gottwals," the Banner-Herald noted. "We hit it off, as small business owners," said Phillips, who decided to enter the book business after moving to Athens three years ago. "I get more joy when people come and find a new author, or find a book they've been looking for, or a particular edition they've been looking for. That's what you enjoy the most.... The key customer for us is the reader who is on a budget." Academic publisher Cognella has launched Cognella Press, an imprint that will focus on "thought-provoking and intellectual nonfiction titles with modern perspectives," according to the company. "Cognella Press is the perfect progression of our brand," said CEO Bassim Hamadeh. "Under our other imprints, Cognella Academic Publishing and University Readers, we develop teacher-driven, student-centric classroom materials that help both instructors and students succeed in their academic endeavors. But we know that learning doesn't stop after one leaves the classroom. We're passionate about encouraging lifelong learning and the constant pursuit of knowledge, which is why Cognella Press was born. Through our titles, individuals can seek quality insights on a broad range of topics that help fill knowledge gaps many of us have." The first offering under the new imprint is Tiger in the Office: How to Capitalize on Opportunity and Launch Your Career by Mike Callahan. On August 30, Cognella Press will publish A More Perfect Union by Antonio Campbell. Following these two titles, the imprint plans to initially release 5-7 titles per year, first in hardcover, then paperback. 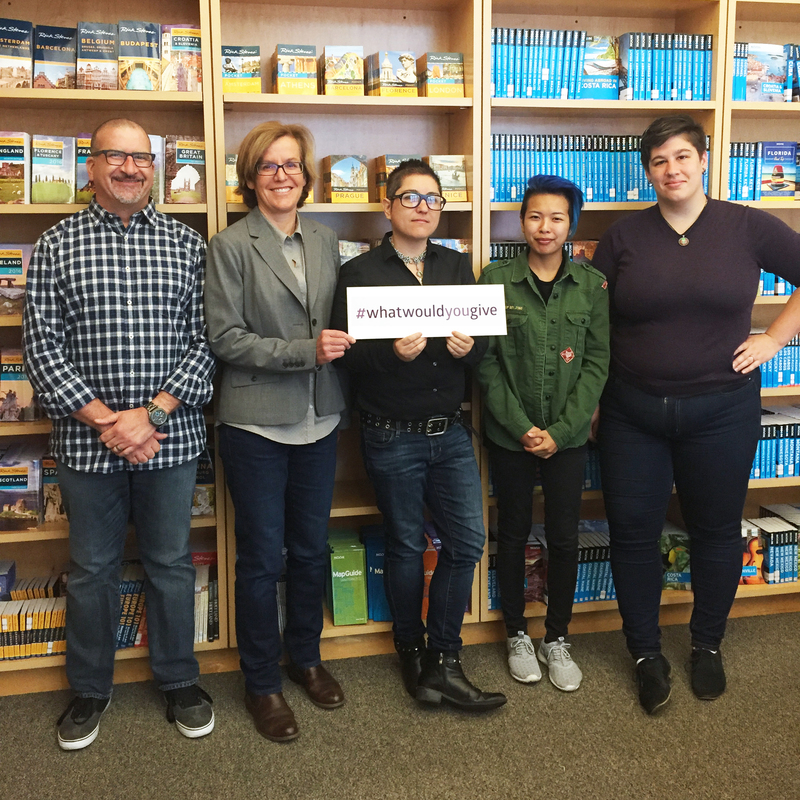 Perseus Books is supporting former colleague Sarah Coglianese's #WhatWouldYouGive to End ALS campaign. Sarah worked at Avalon Travel for many years, and was diagnosed with ALS four years ago at age 33. #WhatWouldYouGive raises money for ALS TDI, a nonprofit biotech organization dedicated to developing treatments for ALS. Instead of raising money for a race or a bike ride--things that most people with ALS can't do anymore--participants get a taste of what it's like to have this debilitating disease. Learn more about the challenge at Sarah's blog. Perseus's team is taking the challenge by planning a day of silence on Friday, August 19. Without their voices, they'll need to use other means to communicate, as do many people living with ALS. Left to right: Darren Alessi, Jane Musser, Kimi Owens, Christin Nolasco and Katie Mock. Book Beat in Oak Park, Mich., was featured in the Detroit Free Press' "occasional series on Super Stores--metro Detroit stores that are super fabulous because of their super service or super selection or super prices or super location or all of the above." "Owned by husband and wife team Cary Loren and Colleen Kammer--he's an expert on photography books, she's an expert on books for children--Book Beat is staffed by folks who know and love books, books and more books," the Free Press wrote. "There's no coffee bar and no vast selection of CDs and movies here. There simply isn't room--Book Beat is only 3,500 square feet. And besides, somehow all that extra stuff would seem off-focus here." An aspect of the store that makes it "truly super is its commitment to children's books," the Free Press noted. "I think this is why we're still here," Kammer said. Loren added: "She does really have a following. She picks out Christmas books for hundreds of people and for their children and grandchildren. She picks out specific things because she keeps track of everything. She knows what books kids read and re-read and what they like. She's able to choose other things that are new and that they'll love. Her choices in books are really at a high level. She's trusted, she's honest with people." With a headline that might qualify as slightly overstated ("London Bookstores Go Rogue as No Wi-Fi Zones"), the New York Times explored "a crop" of London bookshops that "is rebelling against frenzied online engagement and is creating environments where the real-life, Internet-free book browse is the most effective way to expand your social and professional networks. 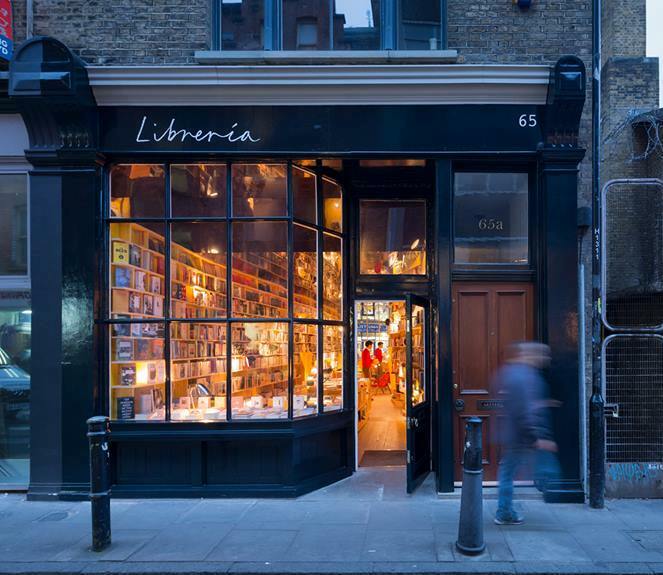 And in countering the Internet overload, some stores are proving to be among London's hottest hangouts," including Libreria, Tenderbooks, Lutyens & Rubinstein and Word on the Water. "We're celebrating human curation over algorithmic rhythms," said Libreria owner Rohan Silva. "We wanted to get people using their human intuition when they shop for books. You can get wi-fi anywhere now, it's not necessary in a bookshop." Tamsin Clark, owner of Tenderbooks, observed, "If someone gets a phone call, they leave the shop. It's the same with the Internet--people just know this isn't the space for being online. The thing about books is that they're more interesting than the Internet--we assume that everyone who comes here believes that." At Lutyens & Rubinstein, a customer said, "You wouldn't even dare ask for the wi-fi code here." Tavis Smiley repeat: Walter Mosley, author of Charcoal Joe: An Easy Rawlins Mystery (Doubleday, $26.95, 9780385539203). Also on Tavis Smiley: Laurence Leamer, author of The Lynching: The Epic Courtroom Battle That Brought Down the Klan (Morrow, $27.99, 9780062458346). A pair of teaser trailers have been released for Charlie and the Chocolate Factory, the stage adaptation of Roald Dahls' classic story that is coming to Broadway next year. Entertainment Weekly reported that "two-time Tony winner Christian Borle will step into the candy man's shoes for the Broadway version of the musical that debuted in London's West End in 2013." The musical reunites the creative team behind Hairspray on Broadway: director Jack O'Brien and musical collaborators Marc Shaiman and Scott Wittman. Charlie and the Chocolate Factory officially opens at the Lunt-Fontanne Theatre April 23, with previews starting March 28. Tickets go on sale September 16. "It's pure pleasure to watch them spin their magic over characters like Charlie Bucket, Willy Wonka, Augustus Gloop, Veruca Salt, Violet Beauregarde and Mike Teavee to create a range of new music for the Broadway production as well as meshing their great gifts alongside some of the beloved classics from the film," said O'Brien, referencing 1971's Willy Wonka & the Chocolate Factory. An official poster has been unveiled for Milton's Secret, the film adaptation of Eckhart Tolle's 2008 children's book, starring William Ainscough, Mia Kirshner, David Sutcliffe, Donald Sutherland and Michelle Rodriguez. Milton's Secret hits theaters September 30. Tolle is an executive producer on the film. Actress and filmmaker Greta Gerwig (Wiener-Dog, Maggie's Plan, The Mindy Project) will rewrite the script for a remake of Louisa May Alcott's Little Women, Indiewire reported, noting that the "previous screenwriter attached was Sarah Polley." The seventh adaptation of the classic novel will be produced by Amy Pascal under her production company, Pascal Pictures; Denise Di Novi of Di Novi Pictures and Robin Swicord. Gerwig's next project is her film Lady Bird, which she wrote and will direct. Anatomy of a Soldier by Harry Parker. "Globalization is back in the spotlight" for this year's Financial Times & McKinsey Business Book of the Year Award longlist, which includes 15 titles that can be seen here. A shortlist will be announced September 7, with the £30,000 (US$39,075) prize awarded November 22 in London. Jennifer L. Holm is a three-time Newbery Honor winning-author of Our Only May Amelia, Penny from Heaven and Turtle in Paradise. Full of Beans (Random House Children's Books, August 30, 2016) returns to the Depression-era Key West of Turtle in Paradise and draws on some of Holm's own family history. It is a standalone prequel for ages 8 to 12 narrated by Turtle's unforgettable cousin, Beans Curry, founder of the illustrious Diaper Gang. Holm lives in California with her family. 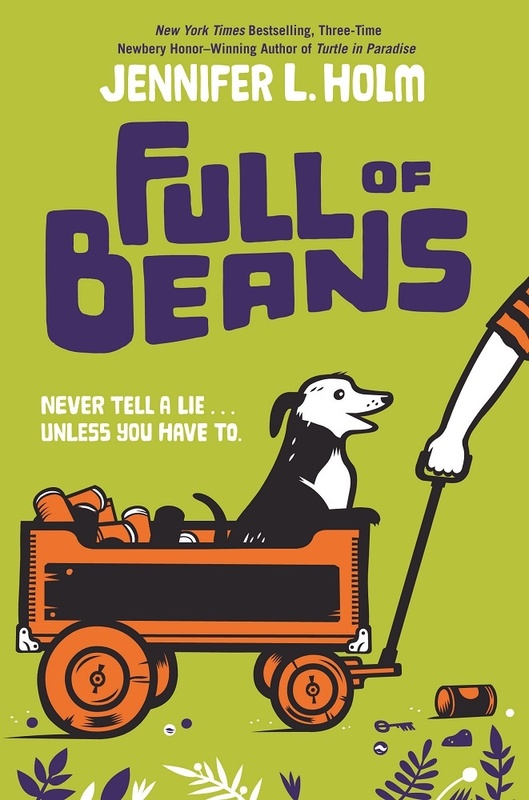 Full of Beans takes place in Key West in 1934, and in the process of researching it, I became pretty obsessed with 1920s/1930s Florida. It's not typically a place that we think of as "historical" (maybe it's because of Disney and all the pink flamingoes), but it was a really crazy and interesting place. So, I'm looking forward to reading For Sale American Paradise: How Our Nation Was Sold an Impossible Dream in Florida by Willie Drye. The Black Cauldron by Lloyd Alexander was the book that got me hooked on reading as a kid. I loved the main character, Taran, and how he wrestled with the big questions of life and death and right and wrong. He starts out seeing the world in black and white and by the end realizes that life is (sadly) more complicated. Matt Phelan's Bluffton: My Summers with Buster Keaton. Matt has the unique ability of combining historical fiction with spare, acrobatic art. He is the Andrew Wyeth of comics in my opinion. Donner Dinner Party by Nathan Hale (technically, I bought it for the title). "I am old enough to sit in a council of men," Taran interrupted excitedly. "I have learned much; I have fought at your side, I have...."
"Gently, gently," Gwydion said. "We have agreed you shall have a place. Though manhood," he added softly, with a trace of sadness, "may not be all that you believe." Little Bear's Friend by Else Holmelund Minarik, illustrated by Maurice Sendak. It is quite possibly the most perfect pairing of text and art in an early reader. What would you like to do most in life? Help the world realize that historical fiction can be thrilling, exciting and impact a child's life. Because it can. Fifteen-year-old Sefia has been on the run for six years, ever since she discovered the brutal murder of her father and fled their home with "Aunt" Nin, a squat, tough-faced master criminal. After her mother's death years earlier, Sefia had known only her father and Nin. Hiding in the shadows from the faceless enemy who killed her father, Sefia has learned to hunt, steal and survive in the island kingdoms of Kelanna under Nin's tutelage. When Nin is kidnapped, Sefia is left searching for answers, starting with "the mysterious angular object" she discovered in her parents' house. It is a book, but she doesn't know it because the written word is unknown in Kelanna, lending historical importance and value to storytelling and memory. Sefia vaguely recalls some of the symbols on the pages of the heavy, leather-wrapped object from her childhood blocks and her mother's songs, and finally makes the connection that it's a book full of words that have sounds and meanings: "Were they messages? Magic? Some ancient wisdom entrusted only to her parents?" As she learns to read the book, Sefia's mission becomes clear: "Learn what the book was for. Rescue Nin. And if she could, make them pay." Sefia is certain that the people who took Nin must be responsible for her father's death as well, and must be stopped. In her attempt to track Nin's captors, Sefia comes across a menacing band of impressors, thieves who steal boys. After noticing a crate--with air holes--in their midst, branded with the same symbol as the book, brave Sefia rescues a boy named Archer from their clutches. Archer is a fierce, silent, dodgy companion who may be able to help her on her journey. As Sefia and Archer track the impressors across the kingdom, searching for Nin and hoping for vengeance, her magnetic connection with what her mother called the "hidden energy to the world, some light simmering just beneath the surface," continues to grow and manifest itself in ever-changing ways. 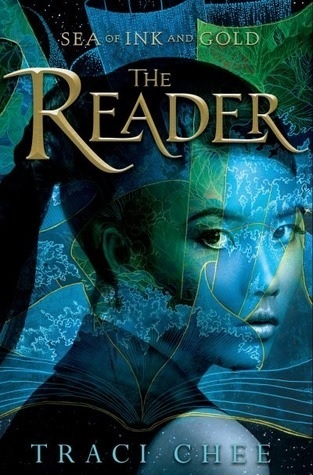 The Reader, the ambitious first in the Sea of Ink and Gold series by Traci Chee, is wide in scope, a rich mine of overlapping storylines and timelines. Sefia is a likable heroine, smart and headstrong yet hesitant enough to be believable. Chee's colorful side characters, from an Apprentice Librarian to the shadowy group that's after Sefia, and particularly the tough but lovable Captain Reed, steal the show. Shelf Talker: In this tantalizing YA series debut, a teenaged girl from an illiterate world discovers the power of the written word in a mysterious book.